Grant Peggie, Director at British Business Bank, talks about how diverse markets for finance can benefit UK SMEs. SMEs make up the overwhelming majority of the nation’s businesses, generating millions of jobs and almost half of private sector turnover. As a result, the funding options available that help them develop and grow are key in fuelling economic growth. Each business will have different funding requirements and this should be reflective in the finance market. Diversity in finance markets is generated by the mix of products used, the variety of finance providers available and the array of funding sources enabling these products and providers. New technology is increasing competition and introducing innovative new business models to the market. This has forced established finance providers to improve the range of finance options available to small businesses and to adapt their own service models to the benefit of their customers. It can improve the appropriateness of the finance available to smaller businesses, improving the prospects that firms find the form of finance best suited to their needs. All of these factors can help improve the outcomes for smaller businesses, whatever their stage of development and ambitions, and ultimately leave the UK economy stronger. As the UK’s national economic development bank, which was created to improve finance markets for smaller businesses, increasing the diversity of both supplier and product on offer is a key part of our mission. Since the creation of the British Business Bank in 2014, we’ve championed a host of alternative debt providers, such as challenger banks, private debt providers, peer to peer debt finance, asset finance, merchant cash advances and other fintech-enabled platforms. Equity Finance, providing early or late stage finance from £50,000 to £2m. Regardless of the route businesses choose to take to access finance, it is important to note that there is a wide range of options are available. The British Business Bank’s Business Finance Guide can take you through these options. 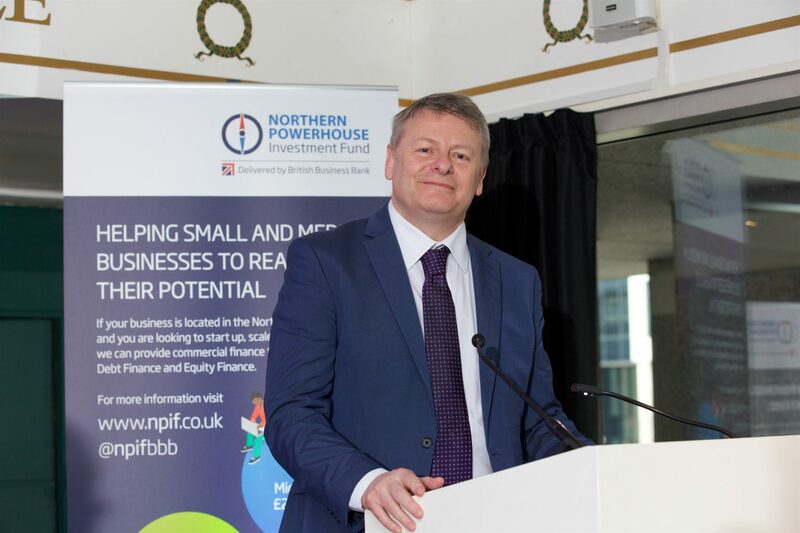 By working together and helping to provide the finance growing SME’s need, we will unlock the potential of businesses in the Northern Powerhouse region.